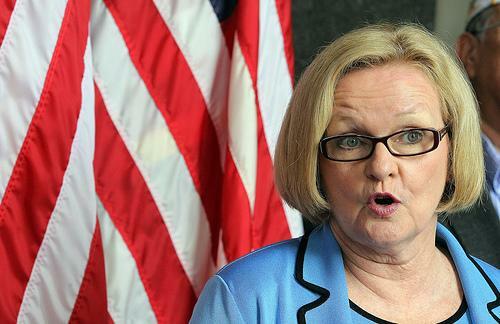 Senator Claire McCaskill is accusing GOP leadership of playing politics during budget negotiations with the president. As budget talks continue in Washington, Sen. Claire McCaskill is accusing GOP leadership of playing politics during negotiations with the president. Kentucky Sen. Mitch McConnell, the top Republican in the Senate, is proposing to give President Obama sweeping power to, in effect, unilaterally increase the nation’s debt limit to avoid a first-ever default on U.S. obligations. McCaskill, a Democrat, says McConnell’s plan is purely political. Under McConnell’s plan, Obama could request increases of up to $2.5 trillion dollars in borrowing authority in three installments over the next year, as long as he simultaneously proposed spending cuts of greater size. McCaskill says she is disappointed and frustrated that President Barack Obama and GOP leaders have yet to come to a compromise during recent budget negotiations and says it’s time for the Congress and Senate to stop worrying about re-elections. McCaskill remains hopeful that a compromise will emerge soon.